In my wanderings around the movie blog world recently, I found another gem of an idea after a stop at the really cool blog, Wandering through the Shelves. 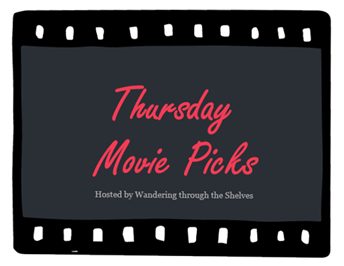 Here's the deal: three movie recommendations every Thursday on a certain theme. My first go at this is late (Week 22), but I have what I think are some good ideas for this particular theme. P.T. Anderson's three-hour ode to interconnections and the L.A. television scene is riddled with "family secrets." At the heart of the story lay two major ones and a few more minor ones powering a film that is filled with the pure cinematic style and flare that only Anderson can achieve. 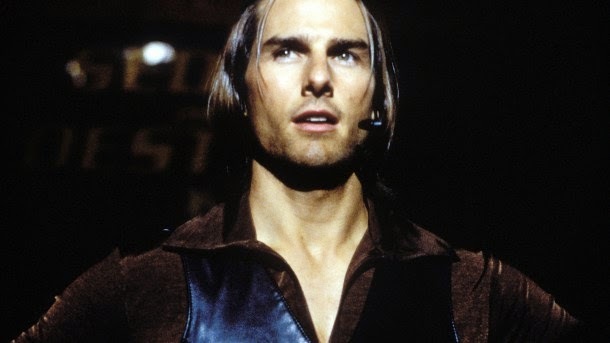 The most powerful of the more than half-a-dozen connected story lines is that of a dying TV executive named Earl Partridge (Jason Robards) hoping to reconnect with his estranged son, the male chauvinist motivational speaker, Frank T.J. Mackey (Tom Cruise). Also major is the semi-mirroring story line of a long-running TV game show host named Jimmy Gator (Philip Baker Hall) and his drug-addicted daughter, Claudia (Melora Walters), who has struck up an odd new relationship with a lonely LAPD patrolman (John C. Reilly). Add in supporting work from Philip Seymour Hoffman and Julianne Moore as the dying Partridge's Hospice nurse and younger wife, respectively, and a smaller, yet also mirroring, duo of subplots: one featuring William H. Macy as washed-up child genius and game show winner, Quiz Kid Donnie Smith, and the other focusing on Stanley Spector (Jeremy Blackman), his current counterpart on the same game show, which happens to have been hosted all those years by Jimmy Gator. As the many layers peel away, you are left with one of the most memorable movie experiences out there…gut-wrenching and genius. When I finally got around to seeing this powerfully affecting coming-of-age drama earlier this year, I was astounded at how matter-of-factly it presented its brilliant handling of brutal truths of growing up. The "family secret" aspect of this story is so much so a secret that I shan't even bother with any details whatsoever to protect those who haven't seen it. Adapting his own YA Lit staple for the screen and directing, Stephen Chbosky truly delivers where literally no one else could. Only the writer of such a powerful story could fully make it come to life. The immensely talented Logan Lerman stars at Charlie, a high school freshmen with a bit of fitting in problem after the jump up from middle school and a recent tragedy. When he meets a pair of senior step-siblings, Sam (Emma Watson) and Patrick (Ezra Miller), and finds a connection with his supportive new English teacher, Mr. Anderson (Paul Rudd), Charlie comes out of his shell in many more ways than one and learns that accepting the past is the only way to move forward in life and love. Yes. 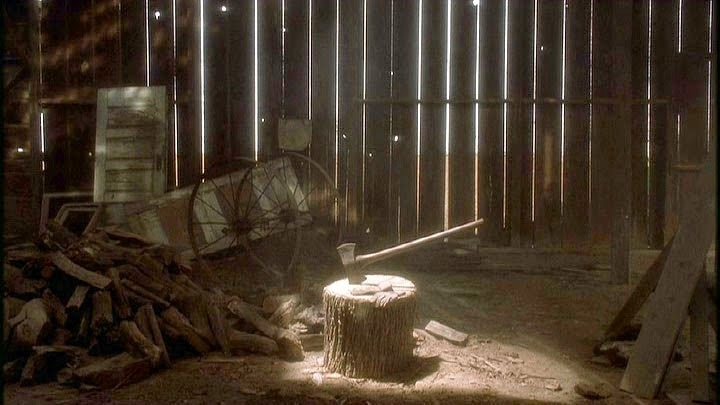 In 2001, the actor Bill Paxton crafted (in his directorial debut) one of the most original, satisfying, and downright scary thrillers I've seen. Fenton Meiks (Matthew McConaughey) walks into the Texas FBI office of Agent Wesley Doyle (Powers Booth) and spins a yarn about a "secret" violent episode involving his "family" that began twenty years earlier. Bill Paxton co-stars in flashback as a single father of two boys in the late 1970s, who undergoes a major crisis in faith and conscience leading to some of the most affecting dread and horror ever put on screen. The tone of this film is masterful. Dark without the drab. Suspenseful without cheap effects and shock value. Enlightening without being heavy-handed. The twists and turns can only be hinted at to the point where I tell you they're there. If you have not seen this movie, do so. It is a game-changing thriller. Why didn't I think of these? lol. These are excellent choices! Thanks, Brittani. This was a great theme. I can't believe I didn't think of The Perks of Being a Wallflower. I guess you could say that there is a family secret of sorts in that one. Yeah. I think it works. There are certainly secrets among the family. Really surprising great flick. Hey there! Thanks for joining this week. I've had the Magnolia DVD for the longest time....I have yet to see it :(. Now The Perks of being a Wallflower totally slipped my mind. No problem. This is a killer idea. Magnolia is a game-changer for me. I urge to watch it as soon as possible. And Perks is one came to me immediately, although it would also work very well for next week's "coming-of-age" topic. Glad to be with you on this, once again. I have never seen the last film, but from the description, I am not sure that I could handle it.